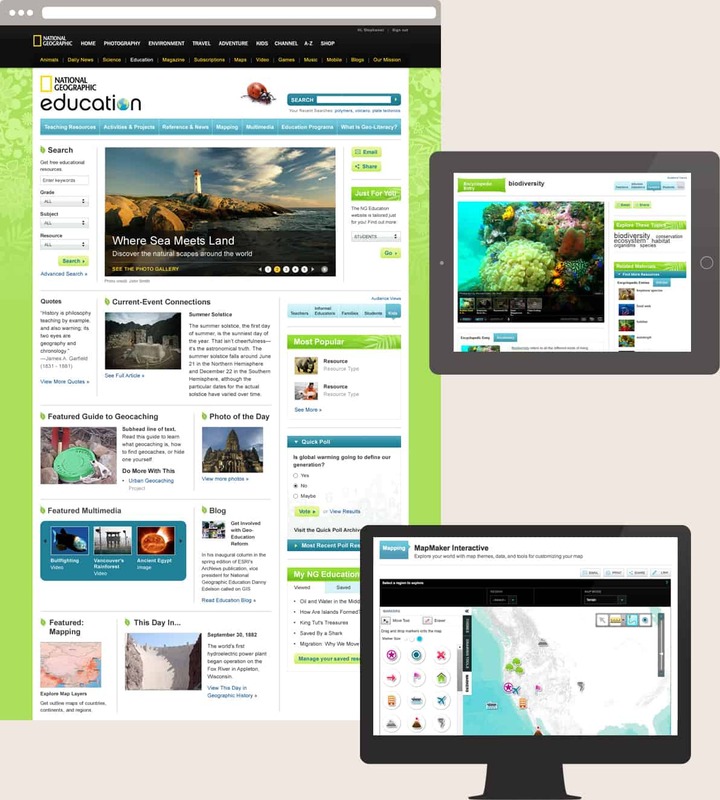 National Geographic needed to create a comprehensive, education-focused web resource that addressed multiple audiences with different needs while maintaining the brand’s signature aesthetic. The resulting design featured specific portals for each segment of users. While the site was designed and developed independently by the team at Blenderbox, it eventually needed to be melded back into the larger Nat Geo site, which required careful collaboration to ensure a seamless integration.